The never before released original soundtrack for the popular ‘60s crime drama series The Baron, from legendary film and TV composer Edwin Astley (The Saint, Danger Man), is available now as a 12” vinyl LP in gloss gatefold sleeve packaging and limited to just 1,000 copies. 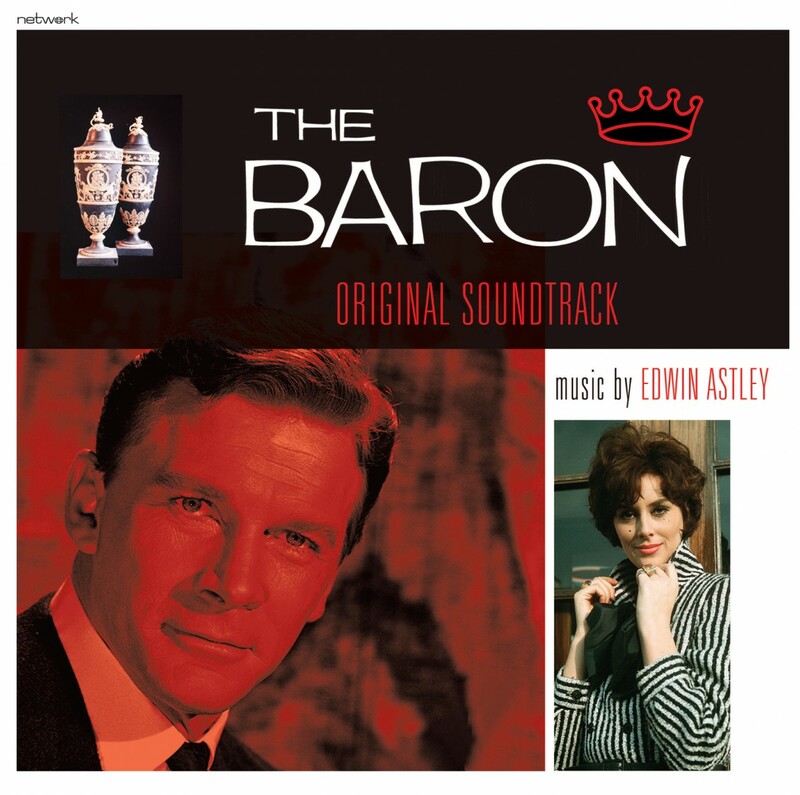 Notable in its absence from Network's earlier CD releases of ITC soundtrack material, The Baron now emerges triumphant from the original analogue tapes which were unearthed in 2014. Specially selected tracks from those existing music cues have been used here to create superb episodic music suites featuring the work of one of the 20th century's premier soundtrack composers. The main theme exhibits some similarities with Astley's contemporary work on Gideon's Way: the two themes are in related keys (The Baron in B major, Gideon's Way in F#), but while Gideon’s Way marches along at a steady plod, The Baron is considerably more upbeat and dynamic, with the main theme carried by a strident brass section. Listeners of this 12” LP will detect new depths and textures previously unheard in the television broadcast versions of these themes and incidental cues. This audiophile-level album is presented on 180g virgin vinyl featuring new transfers from original analogue tape elements. Mastering engineers Ray Staff and John Webber at Sir George Martin’s legendary AIR studios mastered the audio for this and cut the lacquers. The high quality pressing was done by the renowned Pallas pressing plant in Germany. All selections composed by Edwin Astley.